ANDERSEN AIR FORCE BASE, Guam - Located at the southernmost point of the Northern Marianas Islands and the United States’ westernmost point, Guam is serving as the location of exercise Sea Dragon 2019, which kicked off Jan. 14. "Exercise Sea Dragon is an exciting opportunity to enhance maritime patrol relationships in the Western Pacific and focus on building anti-submarine warfare (ASW) proficiency and increase warfighting lethality,” said Capt. Brian Erickson, Commander, Task Force (CTF) 72. “In future Sea Dragon exercises, I am excited to expand ally and partner nation participation." Exercise Sea Dragon is an annual, multilateral exercise based out of Andersen Air Force Base with this year’s event running until Jan. 25. Participating U.S. units will include Patrol Squadron (VP) 47, VP-16, both operating under CTF-72, and Commander, Submarine Squadron (CSS) 15, operating under CTF-74. CTF-72 has taken lead and will oversee the exercise. Units from the Royal Australian Air Force (RAAF) will join U.S. units throughout the exercise. Four U.S. and one RAAF P-8A Poseidons will be conducting flight operations, with support from a joint Mobile Tactical Operations Center, during the exercise. 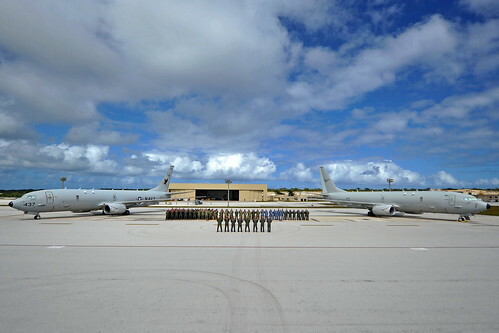 Respectively, four U.S. aircrews and one RAAF aircrew will be sent with the aircraft. Exercise Sea Dragon stresses coordinated ASW prosecution against both simulated and live targets to include a Los Angeles-class attack submarine assigned to CSS-15. Exercise Sea Dragon illustrates that the U.S. and our partners stand ready to ensure the freedom of navigation and the free flow of commerce wherever international law allows. The United States stands firm with allies and looks forward to taking part in forging stronger relations, safeguarding safe and established maritime zones, and ensuring safe sea lanes. CTF-72 leads patrol, reconnaissance and surveillance forces in support of U.S. 7th Fleet (C7F), promoting regional security and enhancement of theater security operations through multilateral engagements to build reconnaissance and surveillance capability within C7F and partner forces.